The boy is at summer camp this week, and I am preparing for a busy week-end of 5 markets in a row. 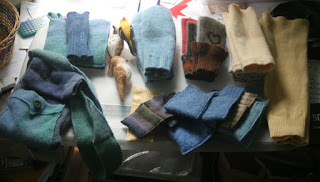 I am taking advantage of the uninterrupted time to make lots of things to fill the booth. 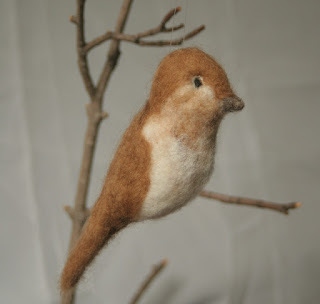 I've gotten a few birds done - yesterday's hermit thrush, and today a veery and a goldfinch. I also have a pile of cashmere sweaters ready to be cut up. 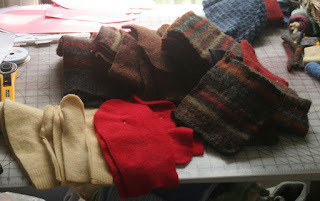 I hope to get a few hats and mittens made up before the weekend. Keeps me out of trouble!